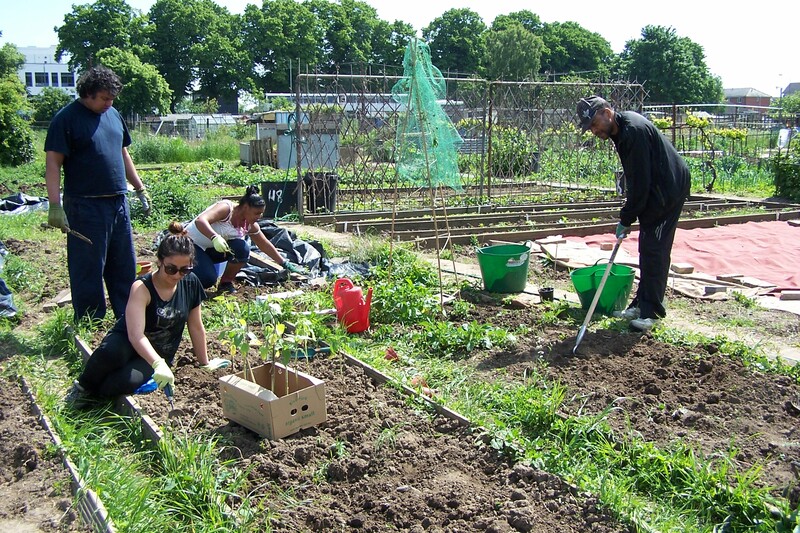 Lovely session on the allotment this week with the Prospects Project group planting up their seedlings of Sunflowers, Runner Beans and Sweet Peas, grown from seed at the Welcome Centre until ready to plant out on the allotment. Happy to report that the plot is now beginning to have life on it besides the aggressive native Bindweed. 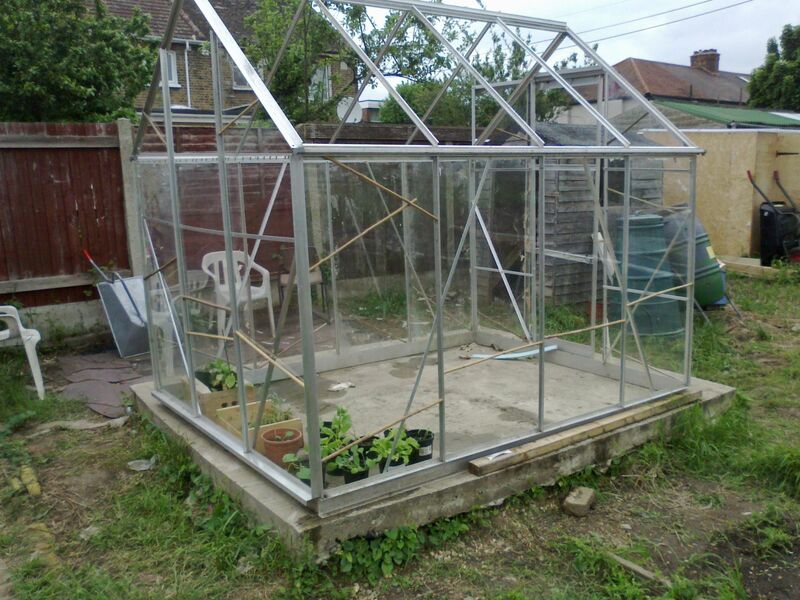 Other developments include the assembly of the greenhouse but we are having great difficulty putting in the rubber seal around the glazing, if anyone has any suggestions for us, I would be very grateful to hear from you! 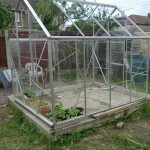 The glass is currently being held in place with bamboo canes, which is a little worrying as the site is open and windy. This last piece of the jigsaw is proving the most difficult and is somewhat frustrating as it has taken us several months to get to this point. Until next week, happy gardening! NextA shed short of a door, no more! Great pics Judi. 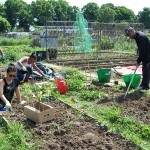 Your ’49ers’ must be thrilled to see plants in the ground and growing away after months of digging and weeding – all your hard work is paying off!